Because wellness is such a personal domain, shopping for products sight-unseen can prove tough—and it becomes downright overwhelming when you're negotiating the vast Amazon marketplace. That's why we like to pay attention to reviews, especially when we're on the hunt for under-the-radar finds. Amazon tends to have them in spades, and thousands of five-star ratings are usually a pretty solid indicator that we're onto something good. With that in mind, we're rounding up some of the most interesting best sellers we've spotted in Amazon's wellness category. From anxiety-reducing herbs to the massage tool you didn't know you needed, shop them below. 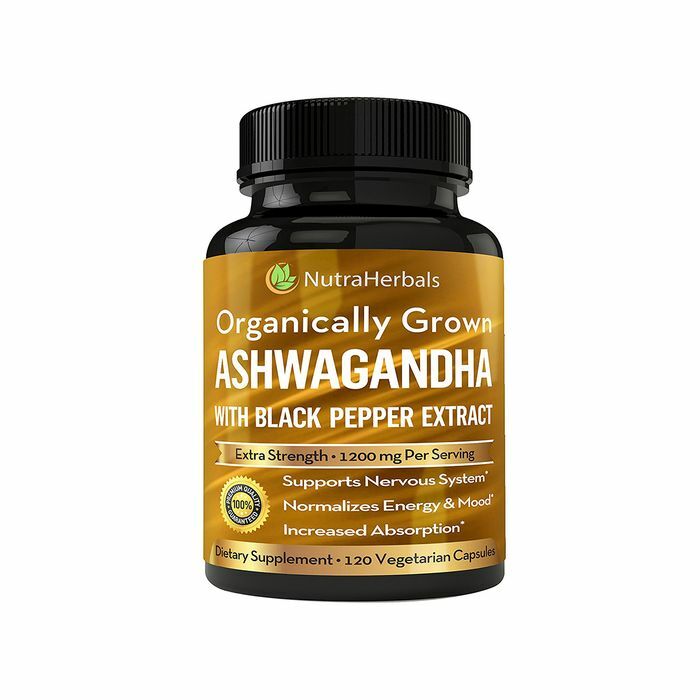 Ashwagandha is a potent adaptogenic herb—studies show that it's a safe and effective solution for counteracting anxiety since it helps balance cortisol levels. Amazon reviewers report that this particular formula works well for pain relief, fatigue, stress relief, and more. We just found your newest bedside staple. This handy device is an essential oil diffuser, humidifier, and nightlight all in one. It even boasts seven different LED light colors to choose from—as well as more than 25,000 positive reviews. The Fitbit Alta has the distinction of being the best-selling fitness tracker on Amazon—11,000 reviewers agree that it's one of the best accessories to help you meet your movement goals. Features include step, calorie, and sleep tracking, as well as a sensor for automatic exercise recognition (which means you don't have to remember to put it in active mode before you head to the gym). If you haven't jumped aboard the foam-rolling bandwagon just yet, now is as good a time as any: Ironing out your connective tissue relieves joint and muscle pain and tones up your entire body with minimal effort. Reviewers note that the density of this product makes for a particularly dreamy self-massage sesh. On that note, if you'd prefer a more traditional massage over that of the hurts-so-good variety, this "pillow massager" is designed to knead away knots in your neck and shoulders. It even heats up for extra relief. We swear by tea tree oil for clearing up acne in a flash, vacuuming out blackheads, and more. But finding a quality essential oil is key to avoid any potential skin sensitivity, and more than 2000 happy Amazon customers agree that this formula is top-notch. Falling asleep is tough enough without having to tune out city traffic, noisy neighbors, and a snoring S.O. This white noise machine features 20 different sounds so you can really customize it to your needs—and get the shut-eye you deserve. Next up: Meet the foam-rolling technique that will tone your entire body in 10 minutes.